You probably won't be surprised one bit to learn there's a new Bitcoin competitor out there. A group of cryptographers just announced the creation of Zerocoin, an ultra-anonymous cryptocurrency that's otherwise a lot like the dozens of other newly launched cryptocurrencies. In a way, Zerocoin is a useful thing, especially for drug dealers and money launderers. While many people believe that Bitcoin is an anonymous currency, it's actually not: every single transaction is recorded and linked to an account, the details and history of which are all public. Even Bitcoin's keepers admit this in an FAQ: "Bitcoin is not anonymous." Originally conceived of last year as an upgrade to make Bitcoin more anonymous, Zerocoin added an extra layer of privacy to Bitcoin transactions. Now, as its own currency, Zerocoin will take advantage of a mathematical principle known as "zero-knowledge proof" that shows the end-result of transactions without revealing the computation process it took to get there. But seriously, guys, really? We need another cryptocurrency to make the techno-libertarian dream come true? It's not enough that we have Litecoin, the more streamlined currency second only to Bitcoin in popularity, or Mastercoin, the supposedly more secure cryptocurrency? Do we really need Dogecoin, the semi-legitimate joke currency that's actually become sort of popular, or the even more obscure Lebowski cryptocurrency? In fact, you can make your own vanity currency in just three easy steps. How else do you think we got something as utterly absurd as Coinye? 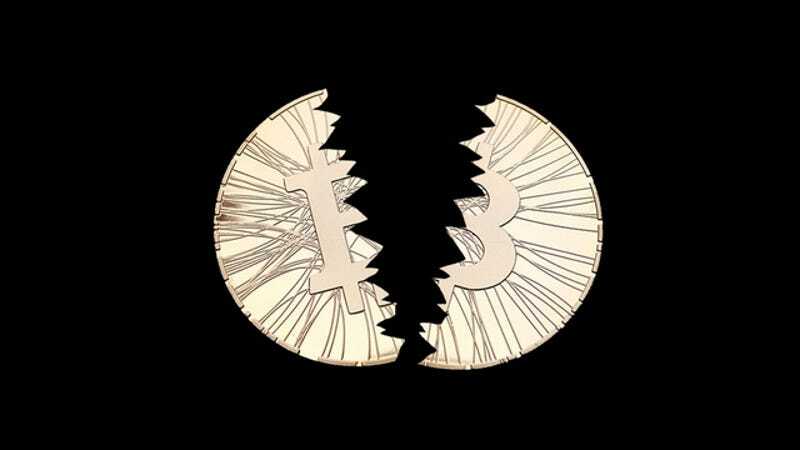 With so many different cryptocurrencies floating around now—seriously, there are dozens—it's worth wondering whether the fragmentation of Bitcoin isn't just serving to destabilize the entire cryptocurrency ecosystem. After all, a big part of the reason that any currency is viable to begin with is because it's widely recognized and accepted. Who the heck wants to accept 35 different kinds of cryptocurrency? And on a more basic level, who wants to invest in it?